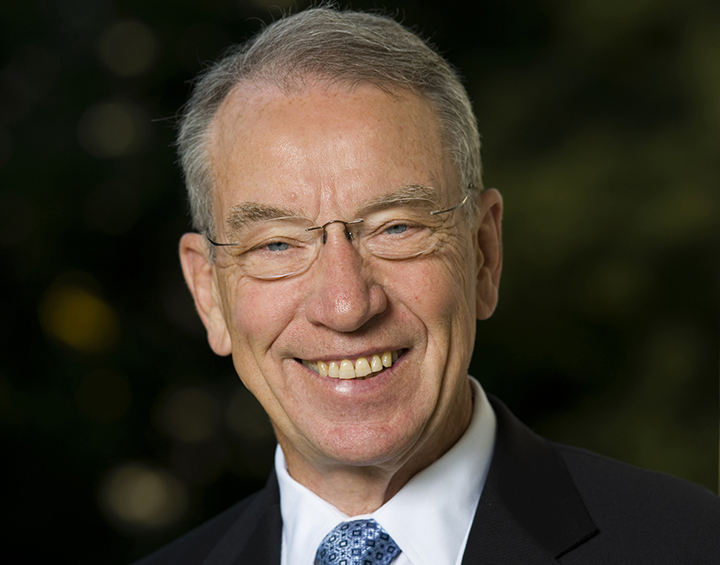 U.S. Sen. Chuck Grassley (R-IA) took to the floor of the Senate Thursday to outline Trade Promotion Authority’s benefits to Iowans. In the speech, he said those who didn’t believe free trade was beneficial to our nation’s future prosperity was “in denial.” The following is the complete floor statement. Free trade is very important to our country and to our future economic prosperity. Anyone who does not believe that is in denial in my opinion. We live in a global economy and we need to lead on the issue of free trade. We must not make excuses and cower away from the opportunity in front of us. The Trade Promotion Authority legislation we are considering is a critical tool for the advancement of our economic interest throughout the world. This legislation is also proof that Congress and the Administration can work together to increase economic opportunity for Americans across all fifty states. Chairman Hatch and Ranking Member Wyden have worked for months to get us to this point. I commend them for this effort and I look forward to working with them to finish this process. We know that 80 percent of the purchasing power in the world is located outside the United States, along with 95 percent of the world’s consumers. As the middle class expands in regions such as Asia, we have to make sure our businesses and workers have the ability to take advantage of the opportunity that growth presents. Some estimates predict the middle class in Asia is going to swell from half a billion people to over three billion people in just the next fifteen years. Are we going to sit on the sidelines while other countries gain preferential access to those consumers? Governor Branstad of Iowa, recognizing the benefits of trade, sent a letter to me this week outlining his support for Trade Promotion Authority. The letter was signed by seventy four other Iowans who represent businesses and associations that also believe it is critical that Congress pass TPA. The letter states, “Quite simply, international trade is important to Iowa’s businesses, workers and farmers. A vote for leveling the playing field in international trade is a vote for Iowa.” I couldn’t agree more with Governor Branstad on that point. Last year, U.S. exports equaled $2.35 trillion and supported nearly 12 million jobs. Can any of us imagine our unemployment rate without trade supporting 12 million jobs? In Iowa alone, 448,000 jobs are dependent on trade, according to the U.S. Chamber of Commerce. And those jobs pay 18 percent higher wages on average because they are tied to trade. Americans know the benefits of trade. And we know that American businesses and workers are some of the most efficient and productive in the world. We just need to make sure they have the opportunity to succeed. That is why we are considering this bill — to expand economic opportunities for American businesses and workers. Free trade agreements that lower trade barriers in other countries can do an amazing thing- they can stimulate our economy through exports without requiring additional spending. During testimony to the Senate Finance Committee, Trade Representative Froman pointed out that the U.S. is already an open marketplace with tariffs that average just 1.6 percent, some of the lowest in the world. Yet at the same time, our companies face very high tariffs in other markets. Some agricultural products face tariffs up to 400 percent; machinery can be up to 50 percent. We cannot let the status quo on trade, where we have an open marketplace while our businesses face extremely high tariffs, to continue. Trade agreements set the stage for long-term opportunity. The citizens in Iowa who may benefit the most from more trade with Pacific rim countries are probably still in school. We can help their future today. Iowa exported $15.1 billion in 2014. That represents a 135 percent increase compared to a decade earlier. $9 billion, or 60 percent of the exports, went to TPP countries under current trade rules. Imagine what is possible just in Iowa if we reduce barriers in that region. Roughly $3.6 billion worth of machinery assembled by Iowa workers alone was exported last year. The goal of the legislation before us is to increase that number. According to the Department of Agriculture, fiscal years 2010 to 2014 represent the strongest five years of agricultural exports in the history of our country. We exported $675 billion worth of agricultural goods during that period. The Trans-Pacific Partnership would create more opportunities for our farmers and ranchers in a region of the world that represents 39 percent of global GDP. You heard me correctly, we have a chance to give our farmers, ranchers, and businesses better access to markets that represent over one-third of global GDP. And while I support and believe in the immense benefits of free trade, I also oppose countries tilting the field in their favor through actions like undervaluing their currency. An undervalued currency makes export goods cheaper from the country with the cheaper currency and also makes it harder for consumers in that country to purchase foreign goods, like our agricultural products. I support addressing currency manipulation in our trade agreements. 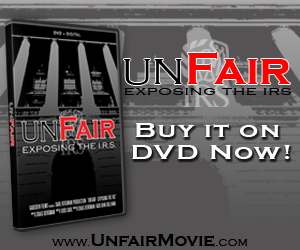 I have watched Administrations of both parties put their heads in the sand on this issue. Everyone opposes currency manipulation, yet little ever gets done. This TPA bill represents the modern realties we face from the global economy that need to be addressed by our trade negotiators. The bill includes clear negotiating objectives for standards on sanitary and phyto-sanitary regulations that must be science-based. Having science-based standards will help limit disruptions to U.S. agricultural exports and even open up some new markets for our producers. Negotiating objectives are offered related to digital trade in goods and cross border data flows that are new and unique issues for the time we now live in. Clear guidance from Congress is also given for localization barriers and intellectual property rights. More transparency and consultations are also required of the Administration. This is a good bill that we need to pass so we can finish the free trade agreements we have been working on for years. The Trans-Pacific Partnership and other trade agreements like the Trans-Atlantic Trade and Investment Partnership, known as T-TIP offer tremendous opportunity for our country and my home state of Iowa. Throughout the world, there are an estimated 260 preferential trade agreements, the United States is only involved in 20 of them. We must embrace our role in the world as the competitive economic powerhouse that we are. America is a country that leads, we have a chance to enter into a trade agreement that will set new rules and standards for one third of the global economy. Getting TPA through Congress and completing more free trade agreements in the future can unleash economic prosperity that leads to more jobs, more economic growth, and more opportunity for our workers. I will end by asking what our alternative is for future competiveness. Other countries are working on preferential agreements. Are we going to sit idly while other countries enter into strategic agreements? Should we let China start setting the rules of trade throughout the world? Should we allow other countries to continue blocking our agricultural products with non-scientific excuses? Should we watch the growing middle class in Asia get their food and products from other countries without trying to compete for their business? The status quo on trade guarantees us a future with less economic opportunity compared to passing TPA and new trade agreements. That is why we must pass TPA and then pass new trade agreements to help ensure America has a brighter economic future.